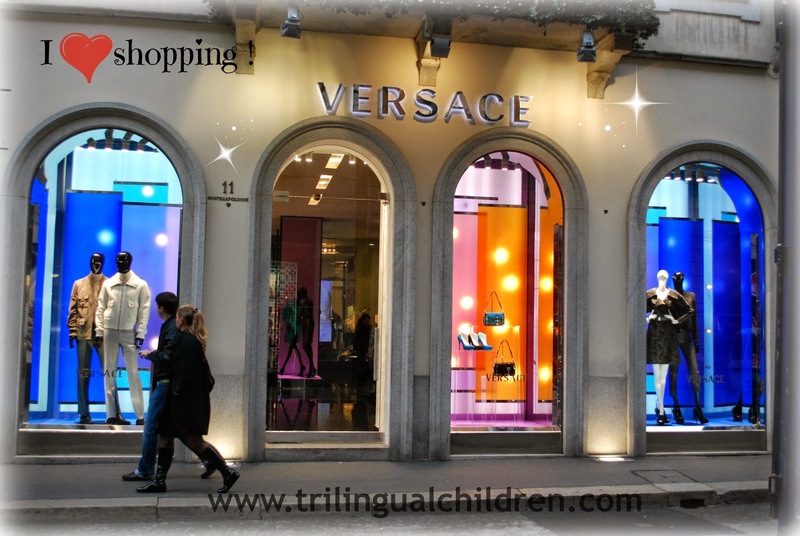 Google+ Raising a Trilingual Child: Why You Should Visit Italy During Winter Holiday Season and Why You Should Not. 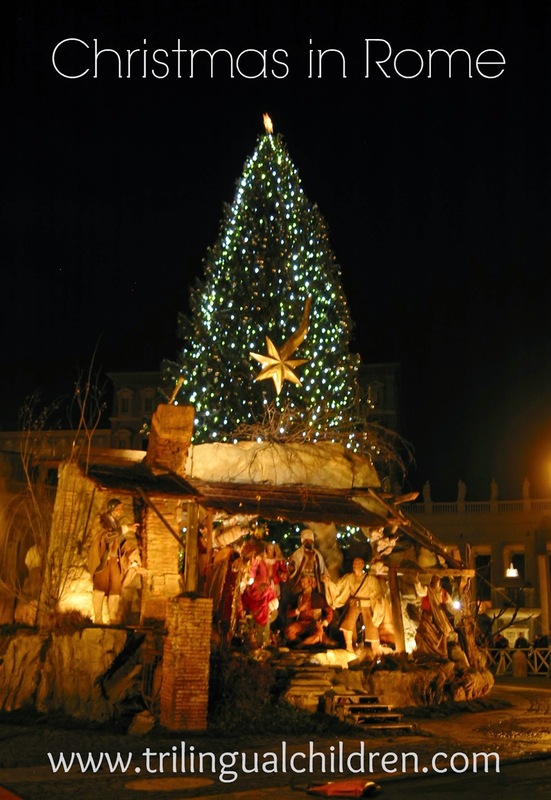 I am keeping the promise I made last year to tell you more about Christmas in Italy. 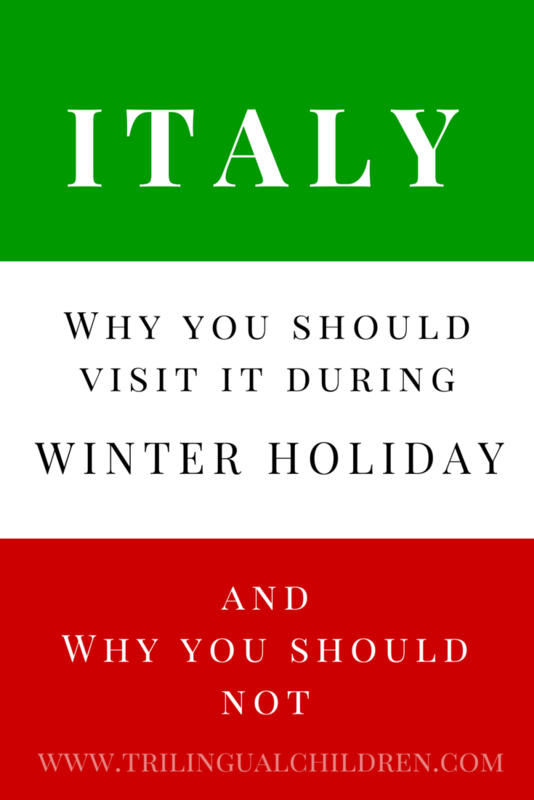 And will tell you why you should visit Italy during Christmas and why you should not. Winter in Italy is cold and not sunny if you listen to Italians living there. Visitors from northern parts of this world would not agree with that statement. Take Milan, one of the biggest cities up north; it has on average 11 sunny days in December. Yes, there is thick morning fog some mornings. But it is beautiful! You feel like the famous Russian hedgehog in the fog! I love this cartoon, BTW! Watch it, if you have not seen it. It also has English subtitles! If you do not come to Italy for weather, you should come for the spirit of the holiday season, that is so unique! Every single church, and in Italy there are many, has its own “presepio” display - a nativity scene. Presepe can be small, can be big and they can be LIVE! No matter what religion you follow (if you follow at all) you must see them! This is creative art work with lights and often with animation or theatrical performance. This is a video of "Presepe Vivente" in Milan. If you are in Rome, you may like to stop by Presepio museum on Via Tor de’ Conti, 31/a near Chiesa dei Ss Quirico e Giulitta. It is open on Tuesdays and Sundays 17.00 - 19.30 year around except August. If running around and visiting churches is not your cup of tea, you probably the type who enjoys good food. Good news for you! 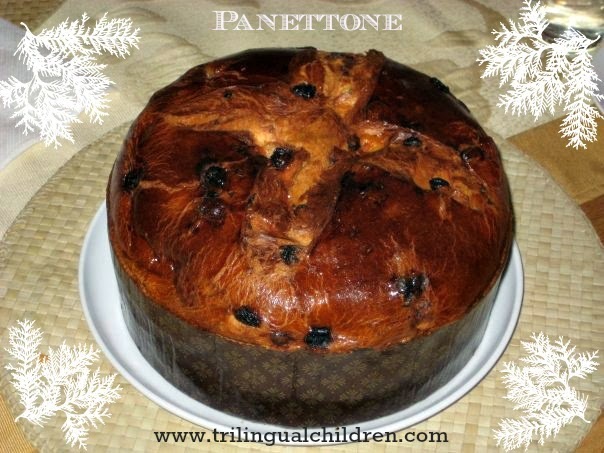 This is panettone time! Traditional sweet Christmas bread from Milan. You can find amazing panettone for every budget! For 3 euro at the discounted supermarket and for 50 euro at pastry shop. And Yes! They worth every penny! If you do not like raisins and orange pills in your sweets, and never developed a taste for Panettone, I have good news for you! Try Pandoro. The name comes from “Pan d’oro” which means “Golden bread”. It is also traditional Italian Christmas sweet from the north; Verona this time. Sorry no photo here, as I do not share your passion… If you are up to try to make one yourself, check these wonderful websites (in Italian): Pandoro recipe version1 , Pandoro recipe version 2 , which were recommended by my friends - Italian foodies living in the States, who create amazing Italian sweets at home! 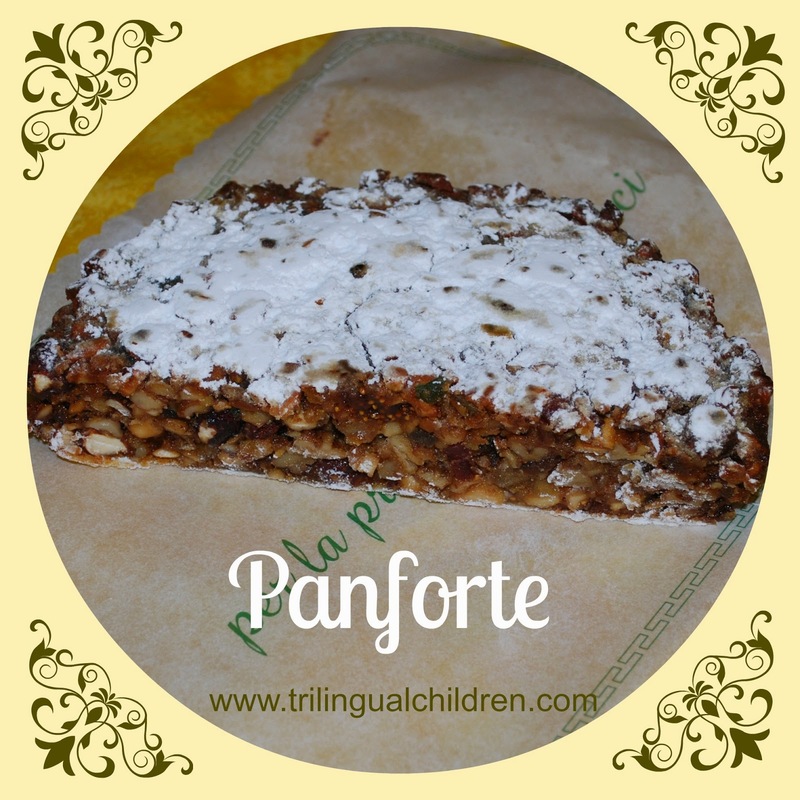 Talking about sweets, I must mention Panforte, a traditional Italian desserts from Siena. It is hard and made out of flour mixed with sugar, honey, nuts, fruits and spices. M-m-m. It is a taste bomb. Same story as with the above listed sweets. There are commercially made Panforte, which are good, and there are ones made in a pastry shop, which are incredibly good! You have to try them. Each and every one tastes different! If you have friends in Italy, who invited you to share with them a Christmas Eve dinner or Christmas day lunch, expect a multiple course meal. Christmas Eve dinner is a typically centered around fish and it’s over just in time for you to attend the midnight mass at the church. Christmas Day lunch is a big event in any Italian family, when all relatives gather for a long and cheerful family meal and celebration. Also, I would like to warn you. Italy is a small country with such a diverse variety of food based on a region. So do not be surprised if you will be served totally different type of food! (for instant, meat instead of fish). If you are in Milan, don’t forget to have a walk on Monte Napolione - the famous shopping street. You ask me: What are the reasons for not going to Italy during winter? Well, I share the same sentiments regarding weather as most Italians. It’s so awful when only half of the month in winter is sunny :) (The ratio is so much better in summers!) Really, I can’t find any reasons for not visiting! How did you like my teaser? :) Stop by my website for more exciting details next year! Click on the pictures and get some sweets delivered to you by Amazon! This post was written for the MKB Christmas in Different lands series. Everyday from 1st to 24 of December bloggers around the World share how Christmas is celebrated where they live. Life Story. Our trilingual story: It’s all Greek, Italian and French to me!